Some people think that walking under a ladder is bad luck. Others knock on wood so they don’t tempt fate. And we can’t forget about the people who avoid the number 13. Some people even press “down B” after they throw a Pokeball in Pokémon games, because they think it will help them capture monsters with ease. Wait, what? 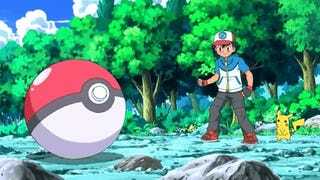 Ever since the release of Pokémon Red and Blue twenty years ago, there has been a constant superstition in the Pokémon fandom: if you press something specific, you can alter how effective a Pokeball is whenever you try to capture a Pokémon. The specific button presses I’ve heard about the most is “down B,” which involves pressing down on the D-Pad while simultaneously pressing the B button the second that a Pokeball closes around a Pokémon. There are variations of this practice, however. I’ve heard of “up B,” I’ve also heard of only pressing B. Hell, I’ve heard of alternating mashing both the A and B buttons. The most fascinating part of this superstition is that most Pokémon players know it doesn’t work. The only things that can affect capture rates are the type of Pokeball you’re using, as well as the health and status of the Pokémon you’re trying to capture. The more damage a Pokémon has taken, and the more status effects they have, the easier it is to capture something—especially if you’re throwing a higher-grade Pokeball into the fray. There is no special code or button presses that can change the capture rate of a Pokémon. And yet, a sizeable chunk of Pokémon players press Down B whenever they throw a Pokeball anyway. I bet some of you have been doing it all weekend, now that Red and Blue have been re-released on the 3DS virtual console. Sometime around 2006 or 2007, a more ridiculous version of this superstition appeared: some people believed that if they said “GOTCHA” into the microphone, then it would increase the likelihood that their Pokeball would be successful at capturing a Pokémon. Now with the advent of Pokémon Amie, a feature that lets you interact with your Pokémon via touch screen and camera, the belief that you can talk into the microphone and affect your Pokémon in some way has lived on. If your Pokémon can see you via the camera, what’s to say they can’t also hear you? And if the game uses the microphone, what’s to say there isn’t some sort of hidden mechanic that will give you a small boost whenever you try to capture a Pokémon? It’s easy to see how the inclusion of the microphone snowballed into what it is now, despite how outlandish the accompanying superstition is. The idea that you can affect your game via a secret mechanic is just too seductive—nobody wants to let go of it, even if they know it doesn’t work. What makes the latest variation of the Pokémon superstition so incredible is that it popped up during the age of the internet, when nothing is a mystery. Nowadays, it’s way harder to start a myth like “you can revive Aeris,” because everything is a simple Google search away. And yet this Pokémon superstition continues to live on, each time morphing to the specific capabilities of the handheld system people play the games on. I have no doubts that players will develop new superstitions that are tied to the specific features of whatever systems Pokémon appears on next. In the mean time, Pokémon veterans like myself will happily continue to press Down B, regardless of how effective it is. Some things just never change. To contact the author of this post, write to patricia@kotaku.com or find her on Twitter@xpatriciah.